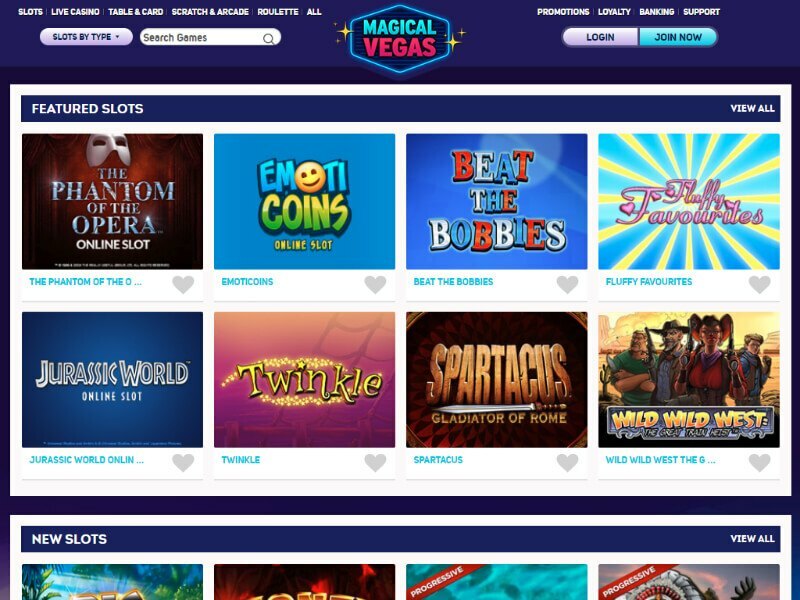 Magical Vegas Casino is an online casino powered by a multitude of software providers. The casino provide a selection of games ranging from slots, roulette, scratchcard and table games which are all instantly accessible through a compatible browser. Players can also enjoy a selection of the casinos games via their mobile device as the casino offer a fully optimized mobile casino. Players really can live the Vegas experience at Magical Vegas Casino with their Vegas theme. Magical Vegas Casino is powered by Bally, Barcrest, Daub Games, Eyecon, Geco, IGT, Microgaming, NetEnt, Odobo, Play’nGo, Realistic and WMS. The casino also offers a bi-monthly VIP trip raffle, a loyalty program and a VIP program. Magical Vegas supports the main credit cards, Neteller, PayPal and Paysafecard. The withdrawal limit is £€$3,000 per month. The casino is available in English only and the helpdesk is available 24/7 by chat, email and phone. Only residents from the following countries are allowed to play: Australia, Austria, Canada, Estonia, Germany, Ireland, Luxembourg, Macedonia, Malta, Monaco, Montenegro, Netherlands, Portugal, Slovenia, Sweden, Switzerland, Ukraine and UK.